Interested in learning more about our office, services, and RE/MAX? Come learn what sets us apart. 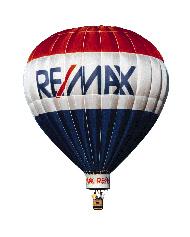 We are a boutique style office, with hands on management, coupled with the most recognized brand in real estate - RE/MAX. Nobody sells more real estate than RE/MAX. Serving the Atlanta area since 1979. For a confidential interview or need help in buying or selling real estate, please contact Donna or Jackie. We have some of the most productive, knowledgeable and professional agents in the Atlanta area that are ready to help you. Please give us a call so we can match the best agent to your needs. Thank you! •Most recognized name in real estate. •Most professional designations earned by agents. •Most countries served, far more than most competitors. *Source: Nielsen Monitor-Plus / A25-54 GRPs Unequivalized for 2011. **Source: Compete.com, Hitwise, ComScore for 6-month period through Dec. 2011.